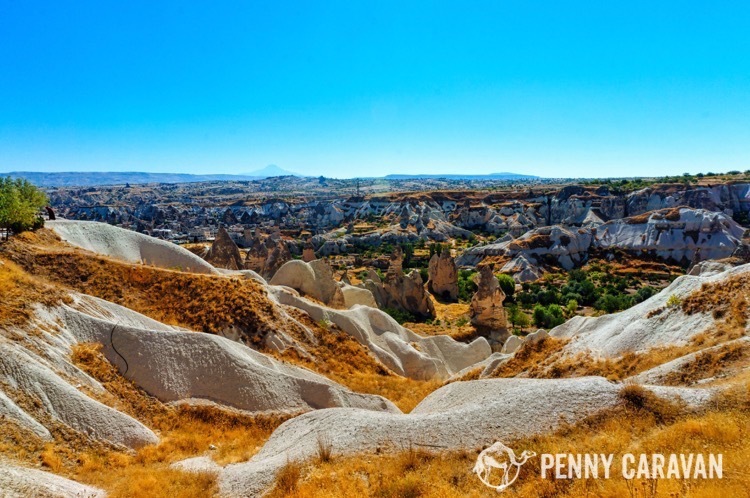 Turkey’s Cappadocia region is a treasure trove of sites and activities. With so much to explore it can be hard to squeeze it all in if your itinerary only allows for a few days in the area. Enter the Green Tour, Red Tour, and Blue Tour, which take groups to key highlights in the area in just a day. These are officially organized routes which almost every tour operator will offer. 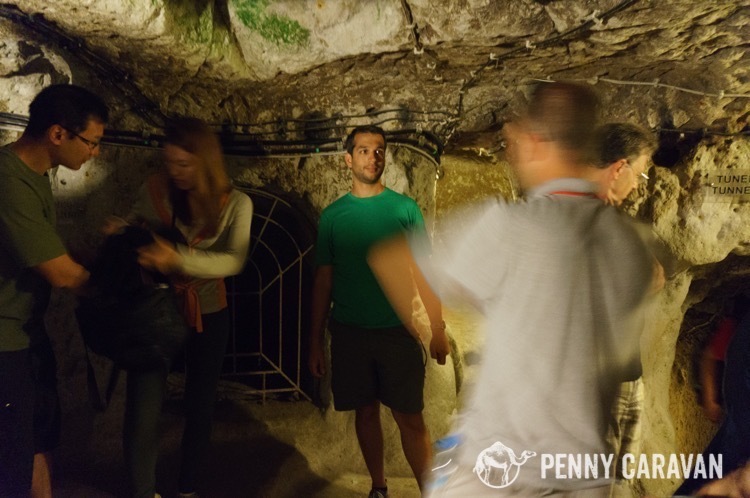 Each tour has a different itinerary, so be sure to check them all out to make sure you’ve picked the best one for you. 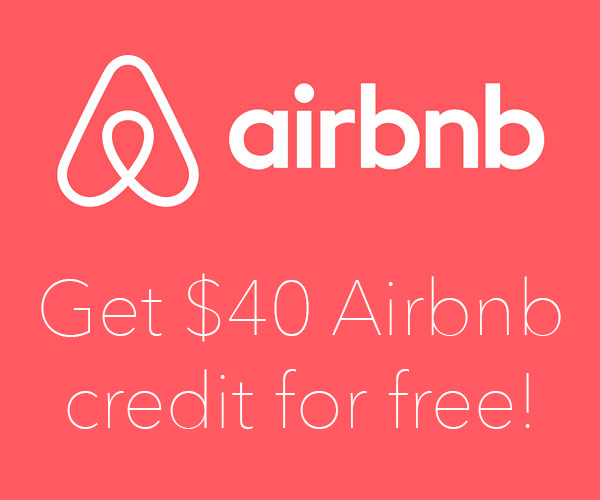 Your hotel will likely take care of arrangements for you at no extra charge. 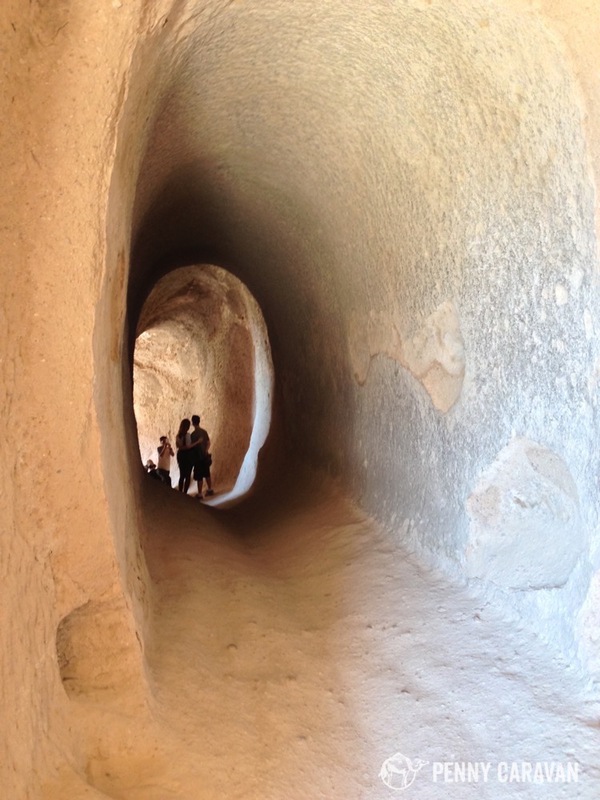 When we stayed at Nostalji Hotel, they arranged our Green Tour with New Goreme Tours. The price was about $60 per person and included lunch as well as hotel pickup and return. All of the Green Tours are roughly the same, although individual operators may vary the stops a bit. 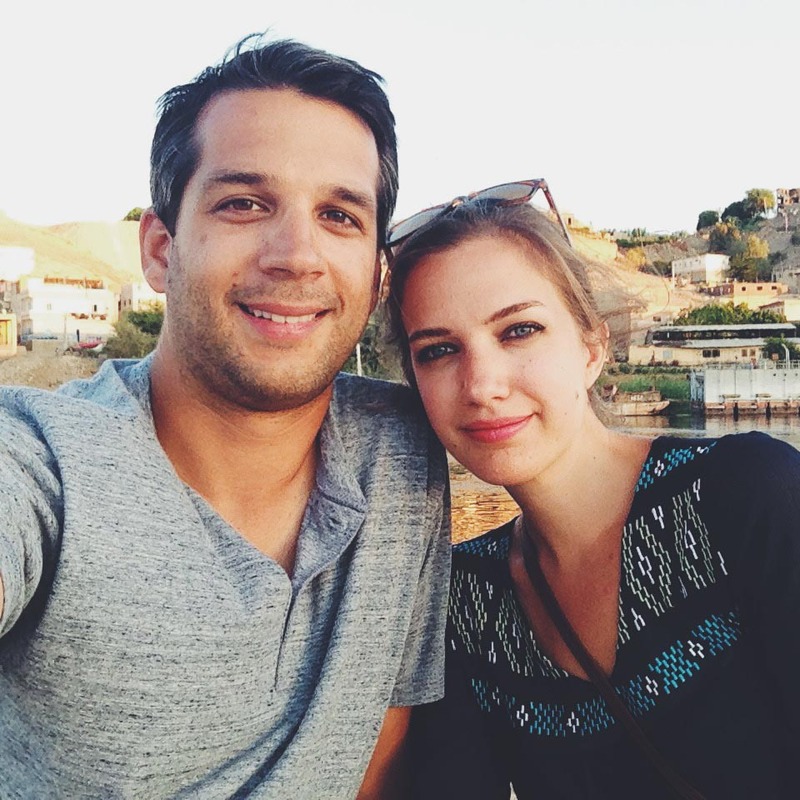 Here’s what we experienced on our Green Tour. 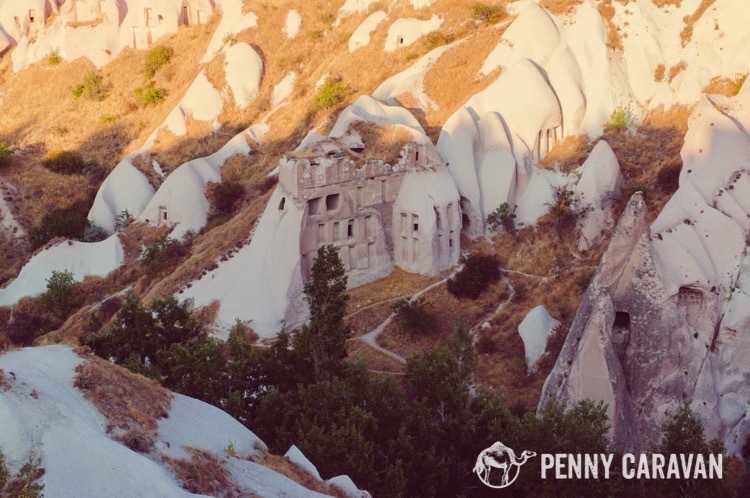 Our first stop was at the Goreme Panorama, overlooking the valley and wind-carved fairy chimneys. Here our guide, Aykut, gave us a great overview of the history of the region and prepared us for the other sites we would see that day. This is a great spot for a good photo of the unique landscape of Cappadocia. The stop only lasts 15 minutes or so, and there are many vendors if you’re looking for a quick trinket or need some water or snacks before heading on. This is the highlight of the tour. This massive underground labyrinthine dwelling was carved into the soft earth as a refuge for inhabitants in the area. 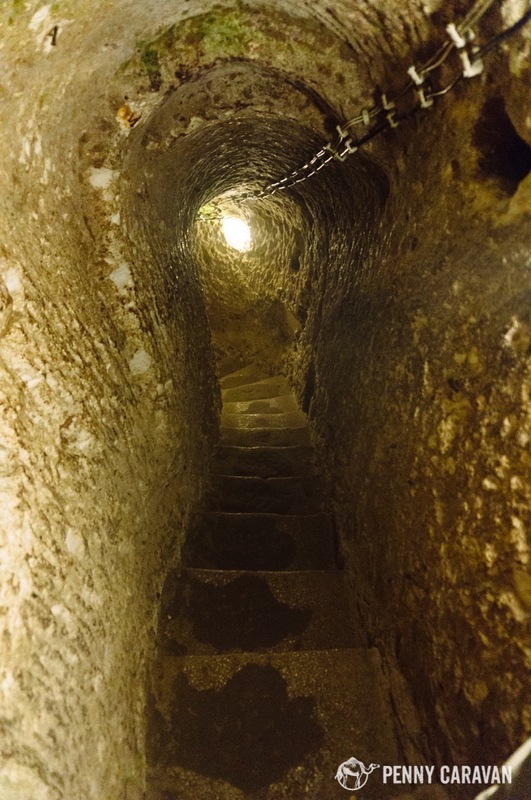 During times of Roman persecution, Christians would flee to this and other underground cities in the area, seeking to avoid advancing Roman armies. Scholars estimate that up to 20,000 people could have inhabited the city. It is believed that they would stay hidden in these cities for up to a month at time. Derinkuyu goes some 11 levels deep, but you’ll only travel down about 5 levels, due to safety concerns in the deeper areas. Still, if you’re claustrophobic, it might be best to wait above. Some of the passages can get pretty narrow, and most of the ceilings are low. It is well-lit however, so you won’t be stumbling blindly into the darkness. 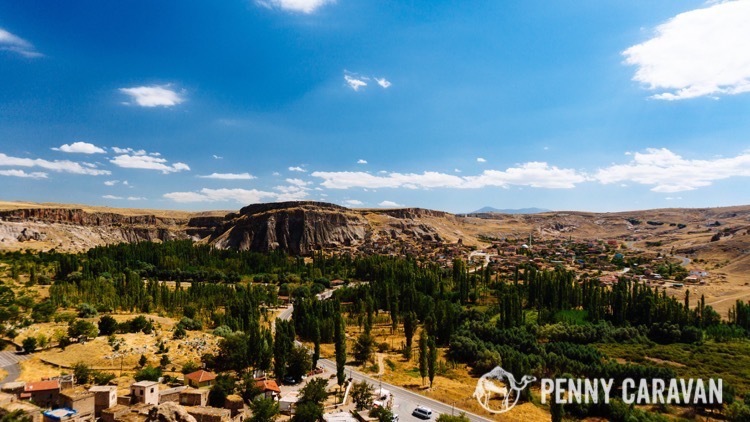 It’s breathtaking to think of all the work that went into carving out all the nooks and crannies of Derinkuyu and you’re sure to be astounded as you delve deep into a place that feels like it’s out of a fantasy movie. Cappadocia has a lot of monasteries. 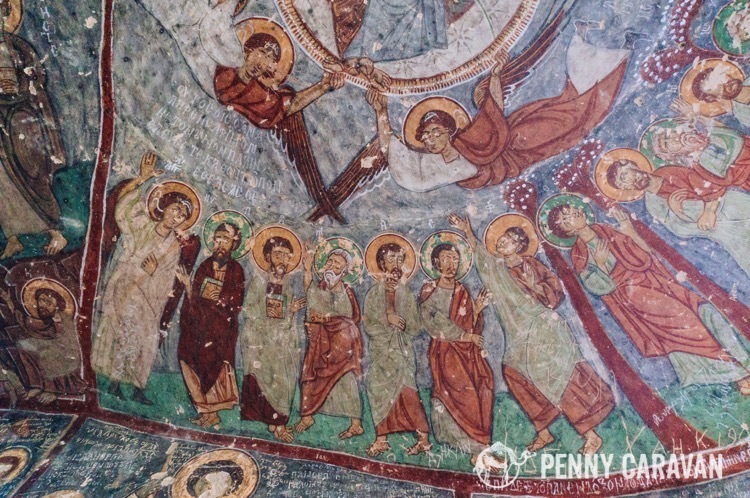 One of the largest and most impressive is the Selime Monastery. 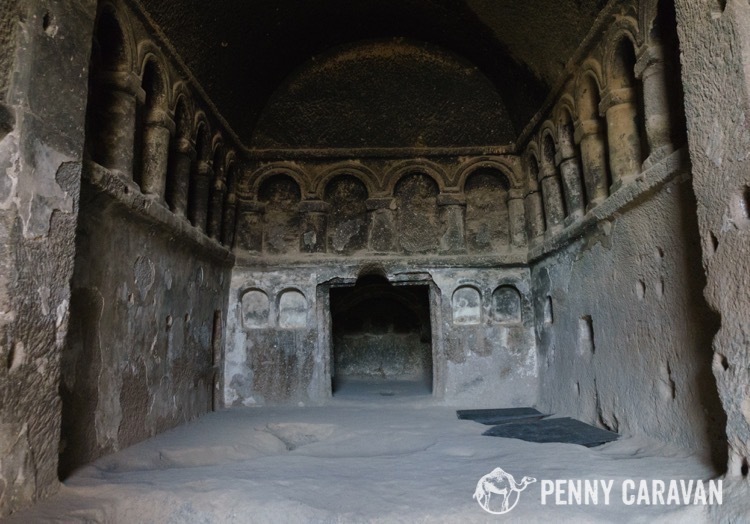 Dating back to the 8th century, Selime is a large complex carved into the conical soft rock. You’ll be able to climb up into the monastery exploring its various rooms. 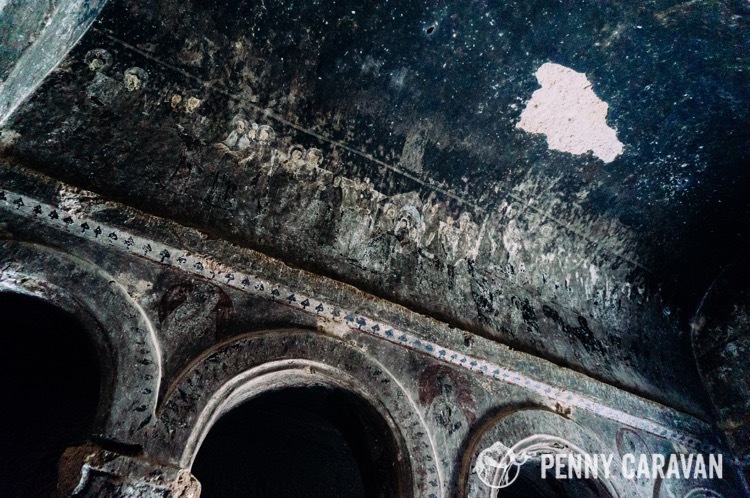 There are a few chapels that used to be covered in frescoes, but traveling caravans later used the monastery as a stop and the paintings are now covered in soot from their fires. Only faint images remain. The history of the location can be felt strongly at every turn. 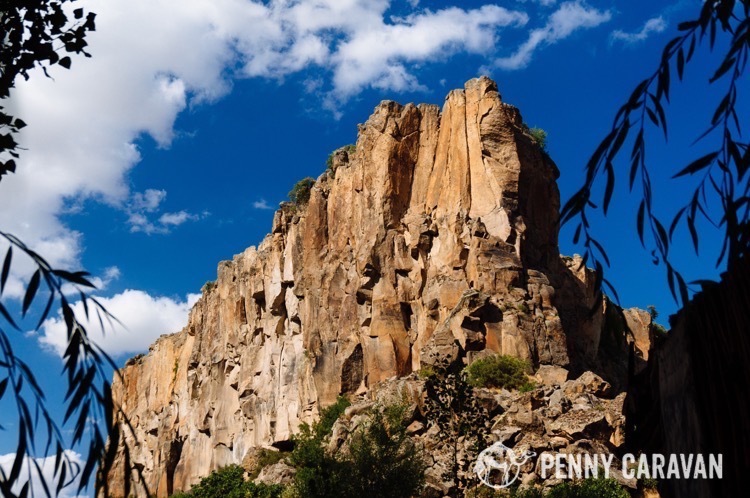 After being stuffed in a car for a long time and in the claustrophobic setting of Derinkuyu, it was nice to stretch our legs in a leisurely hike of the Ihlara Valley. 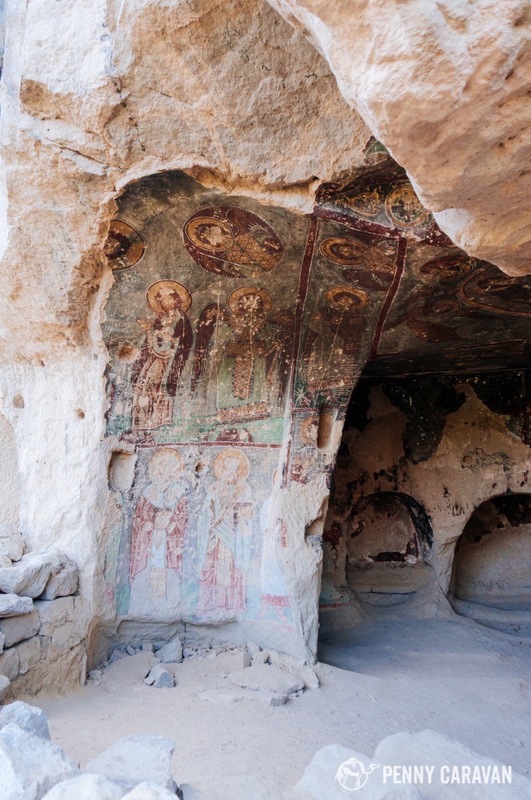 The valley walls are host to a number of Byzantine Churches that you can climb to and explore. After following a gentle meandering stream for a kilometer or so, you’ll stop at a family owned tea house. Relaxing here enjoying a cup of tea is definitely a treat! On the way back we made a stop at an overlook of the Pigeon Valley. 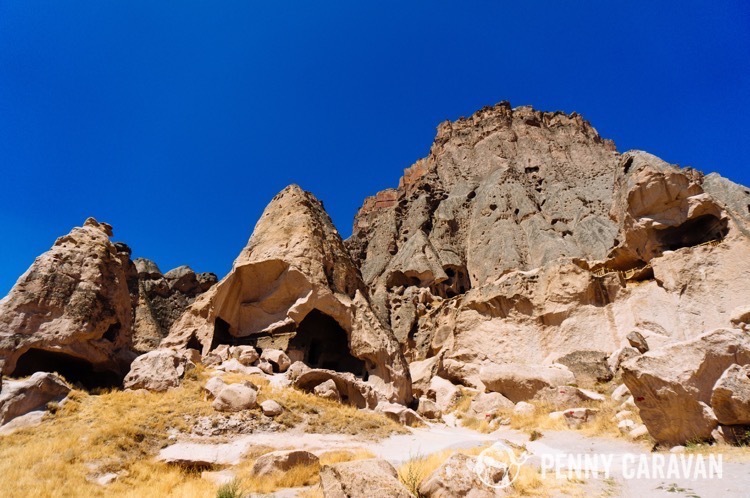 The Cappadocia residents would carve small holes into their fairy chimney houses so pigeons would roost there. They would then collect the droppings to use as fertilizer for their crops. This valley has many examples of the pigeon houses and lots of pigeons can still be seen in the area. 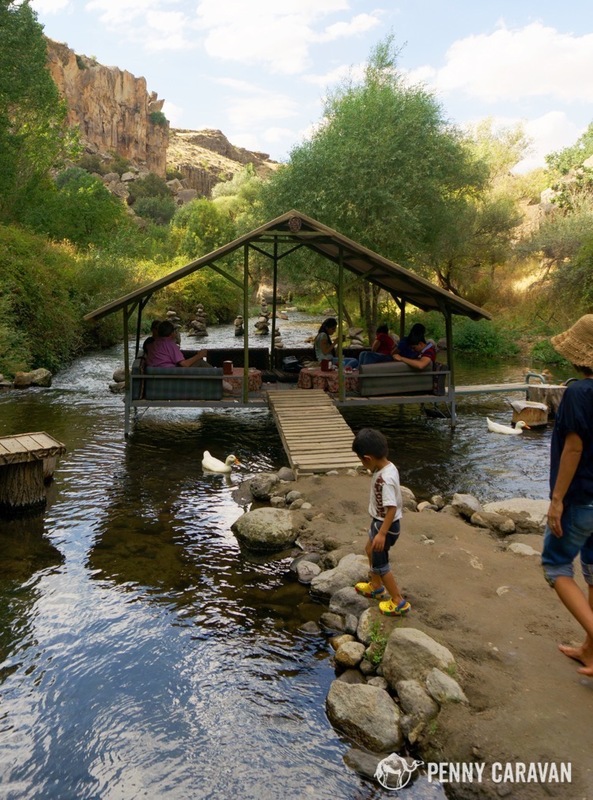 The Green Tour is an excellent way to see a lot of Cappadocia in a short time. Most tours also include a stop at an artisan such as an onyx jeweler or a potter, letting you peruse local crafts. 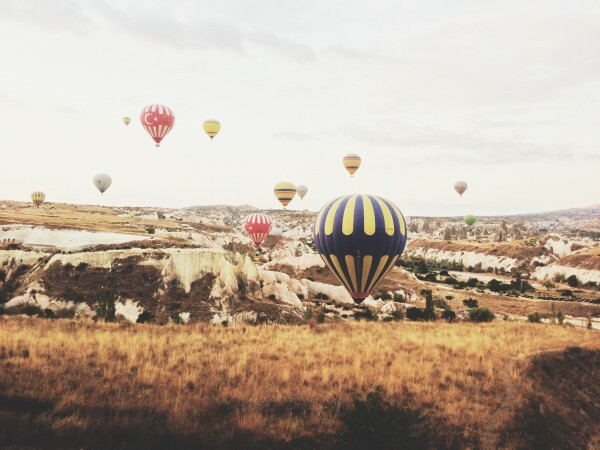 When booking your trip to Cappadocia, be sure to talk to your hotel about scheduling a Green Tour. It’s the perfect thing to do after your early morning balloon ride!